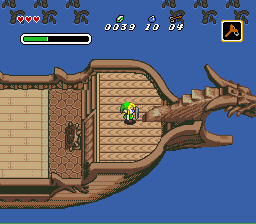 Oracle of Secrets is a complete overhaul of the original Link to the Past for the Super Nintendo. Development began in 2013 and has been progressing in some form lately. ▲ Overhauled Light and Dark World. ▲ New graphics, fresh menu, original story, lots of secrets and more! 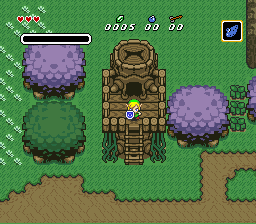 The game includes a large amount of work created by prominent members in the Zelda3 rom hacking community over at Zeldix such as SePH, Conn, and Euclid. 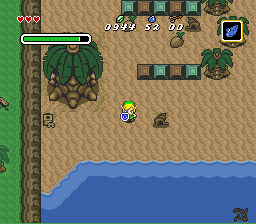 The game is made using several rom hacking tools created for Link to the Past. 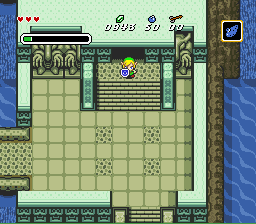 The primary one used for overworld and dungeon editing is known as Hyrule Magic. 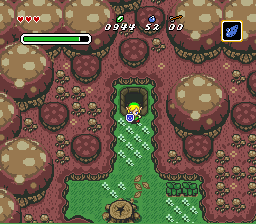 Design of the overworld is done by myself with the usage of graphic sourced from past Zelda titles, SpritersResource, Zeldix community assets and abandoned Zelda hacks like Legends of Hyrule and Lyra Islands. Some areas from those hacks have been adjusted or ported over to this hack. Dungeons are entirely original designs by myself. There is no scheduled release right now, sorry! I'm in college. 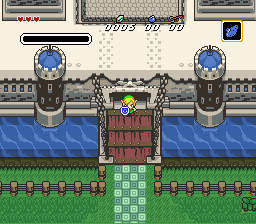 However, I'm willing to share a demo via IPS file that will allow you to patch your own Link to the Past rom that you legally obtained and try out the game in its current form. While beta testing and bug reporting is not required it is helpful, so if you find bugs you can submit them to me via my email.